An estimated 20,000 women will get a diagnosis of ovarian cancer this year. That's 3 percent of female cancers but it causes more deaths than any other cancer of the female reproductive system. 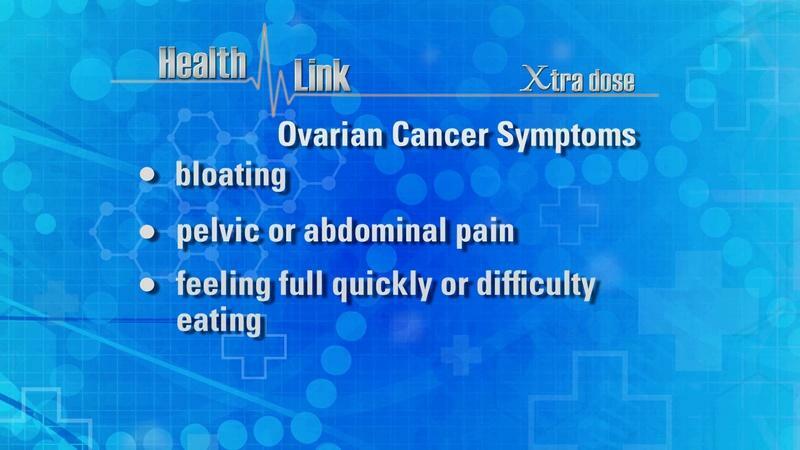 On Health Link we discuss ovarian and other gynecological cancers with our panel of experts. Find out if you could be at risk as we examine the symptoms, diagnosis and treatment. Plus what every woman needs to know about screening for cervical cancers. Learn more about Ovarian Cancer and Gynecological Cancers and what you can do. Dr. Joyce Barlin is a Gynecologic Oncologist in practice at Women’s Cancer Care Associates, located in Albany, NY. In 2006, with her 40th Birthday around the corner Andrea decided to challenge herself and took up running for the first time in her life. That’s when the whispers began… frequent urination when exercising, fatigue, spotting between periods, mild pain on her left side. She saw her gynecologist. After an exam and several other tests, her symptoms were noted, and she was told there was nothing to be concerned about. Her symptoms would fade for a weeks and then return. In March of 2007, while sprinting against her son, she was stuck by an alarming pain. The diagnosis: Stage 2 Ovarian Cancer. Because Andrea had listened to the early signs of Ovarian Cancer, she only needed three radiation treatments. Dr. Robert Dropkin specializes in Obstetrics & Gynecology. Terry Harding is an Endometrial Cancer Survivor. Terry knows firsthand how important it is to have an annual exam and regular pap test. Dr. Ricki Lewis is a science writer with a PhD in genetics. Dr. Lewis provides genetic counseling for parents-to-be at CareNet Medical Group in Schenectady, NY and teaches "Genethics" an online course for master's degree students at the Alden March Bioethics Institute of Albany Medical Center. Dr. Olai Sam specializes in family medicine in Cohoes, NY. Dr. Sam underwent genetic testing and is BRCA1 positive.